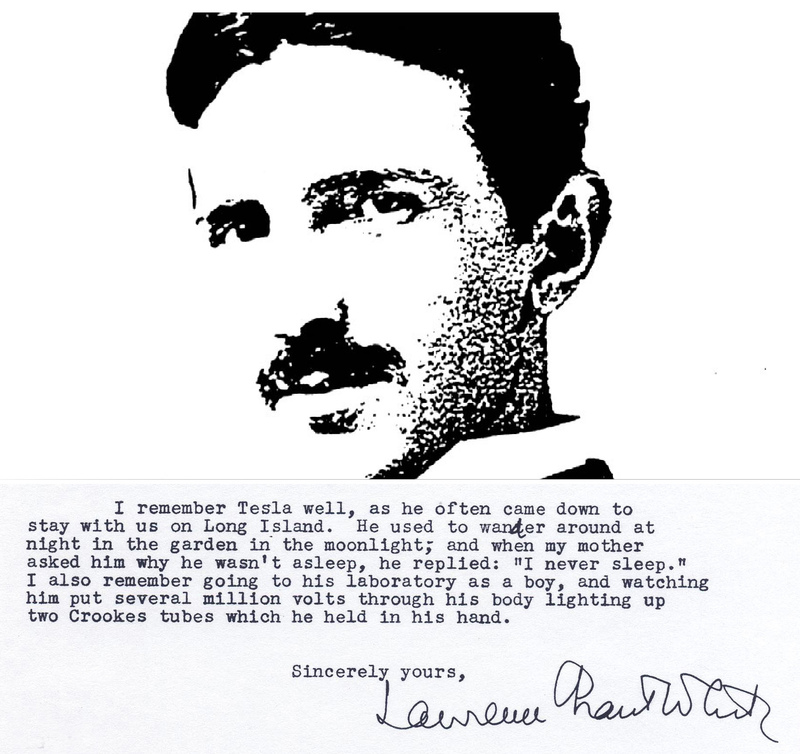 This is an excerpt from a letter by Lawrence Grant White, Stanford White’s son remembering Nikola Tesla, a frequent visitor to the White estate at Box Hill, not far from Wardenclyffe. Tesla created his own myth by telling people something like “I never sleep” or, in an interview in 1927: “I never touched a woman”. Maybe the latter is quite right. Tesla did not sleep very much though.